Yeah, but: "What we've got here is (a) failure to communicate!" The Long Version: I really am glad that Photokina 2010 is finally over. I've been emotionally whip-sawed about by Olympus' announcements leading up to Photokina, first with their special E-P2 kits and two new M.Zuiko µ4/3rds zoom lenses, then with the announcement of the regular 4/3rds E-5, the follow-up to their three-year-old E-3. On the surface all those announcements sound wonderful. It's when you add the context and dig into the details that you realize it's anything but. I believe that Olympus is working hard to merge its two interchangeable lens lines into one, based exclusively around µ4/3rds. They will provide a seamless transition with existing 4/3rds-mount lenses. It's going to take time (I estimate 24 months), but we will see the road-map for this transition starting with Photokina this fall. As I said, written in happier times, and making assumptions that have come back to haunt me. The start of my dissatisfaction came with the release of the two newest E-P2 kits. They cost more, anywhere from $200 to $350, than the original E-P2 kits released in December 2009. And for what? So that you could purchase a black version of the M.Zuiko 17mm f/2.8 with a Pen-branded lens cap, and with your choice of the VF-2 EVF or a black version of the FL-14 flash. and black FL-14 external flash. What would have been far more useful to the Olympus faithful would have been an updated version of the E-P2 that included the sensor tweaks currently in the E-PL1 along with new camera firmware that allowed for faster autofocus with standard 4/3rds lenses. Just how slow is autofocus with a regular 4/3rds lens mounted on an E-P2? Take, as an example, my ZD 12-60mm HG zoom. On my E-3, with the latest lens firmware upgrade, it snaps to focus so quickly as to be unmeasurable by anything other than fast instrumentation. Put it on my E-P2, however, and I can watch the sweep hand of my analogue watch count out two seconds before the lens finally locks onto focus. That's what I mean by slow. I'm well aware of the differences between phase detect autofocus in the E-3 and contrast detect autofocus in the E-P2 (and the other Pens as well). That's my point. Olympus could have begun to bridge between the two lines with advances in the Pens using a combination of firmware in the body and possibly a new, special adapter. Instead, we got marketing fluff. Then came two new lenses, the M.Zuiko 40-150mm and 75-300mm. It was the later that raised my eyebrows because of its cost: a cool $900. Olympus officially introduces the new E-5. Essentially a warmed-over E-3 or an E-30 in E-3 body. Move along, people--nothing to see here. After three years this is the best they could do? Why didn't they do something like this with the E-1 in those four years before the E-3 came out? Olympus, you are a creative company that has proven through the years to be the maverick in every industry you compete in. The E-5 is the opposite of what the very fabric of this company is all about. But not all is bad. At least Olympus finally put a decent LCD on it. Way to step out! 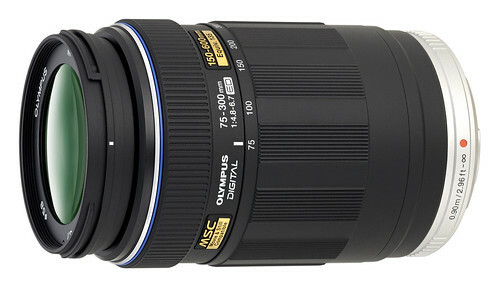 If you are needing to buy a new pro-level Olympus DSLR, the E-5 is fine. In fact, it's probably quite good as it blends the best of the E-3 with the improved imaging capabilities seen in the E-PL1. It will definitely not be a slouch in image quality. However, it is obvious that Olympus has lost all interest in legacy FourThirds. The E-5 is a protection for existing investment in lenses and accessories, but at this point I won't be recommending any non Micro FourThirds products to anybody not already invested in the line. Taking what could most politely be described as a 'considered' approach to product upgrades, Olympus has lifted the curtain on the third generation of its professional SLR, in the form of the much anticipated E-5. Olympus introduced the world to the first Four Thirds camera, the E-1, back in June 2003, and finally got round to updating it with the E-3 four years later. We got a sneak preview of the E-3's successor a couple of weeks back - we'll update this short article to a full review as soon as we get a production E-5 in the office. It is perhaps indicative of where Olympus's priorities lie - or the way the market is headed - that whereas the E-3 took the E-1 back to the drawing board and introduced several new features, the E-5 is probably best described as a warm over of its predecessor. It's also interesting to note that it benefits from a 'trickle up' of technology from the latest developments in the company's Micro Four Thirds cameras - a situation unusual for what is, effectively, the hero product in the E-system range. There would be no more development for new standard 4/3rd lenses. Olympus had decided, for whatever reason, that what they had was good enough, and that the E-5 would finally deliver the image quality the regular line (especially the SHG) were supposed to deliver with regards to sharpness and detail. All regular 4/3rds DSLRs, from the E-30 on down (E-4x0, E-5x0, and E-6x0) would no longer be manufactured. The E-4x0 to E-6x0 were considered entry-level DSLRs; the Pens could easily substitute (and would be substituted) for them. The E-5 would subsume and replace the E-30 just as it was doing to the E-3. So there you have it. Olympus showed I was wrong. They are abandoning (however slowly) regular 4/3rds. This time, unlike the OM line, they're providing a half-way transition from the 4/3rds to µ4/3rds lens mount with a mechanical adapter that pulls the electrical contacts straight through to the µ4/3rds mount. This at least gives some feedback for EXIF data as well as some control (slow autofocus, control of the aperture). They've already started to abandon the Standard Grade lens line by reproducing many of the more popular zooms as M.Zuiko zooms (9-18mm, 40-150mm, 14-42mm, and 70-300mm (as the $900 75-300mm). None of the current Pens and M.Zuiko lenses are weather sealed. If you want weather sealed, then you're left with the lone E-5 (and remaining E-3s still in stock) with the High Grade and Super High Grade lenses. What am I left with? A very sour taste in my mouth. I shoot primarily Olympus digital (E-3 and E-P2). I've written well of the gear I own (especially the E-P2), and it all continues to operate quite well. The problem is that this is all expensive gear that represents an investment of money and time. Quality gear costs money, and to wring the most out of that monetary investment requires a not-to-considerable personal investment of time and effort. 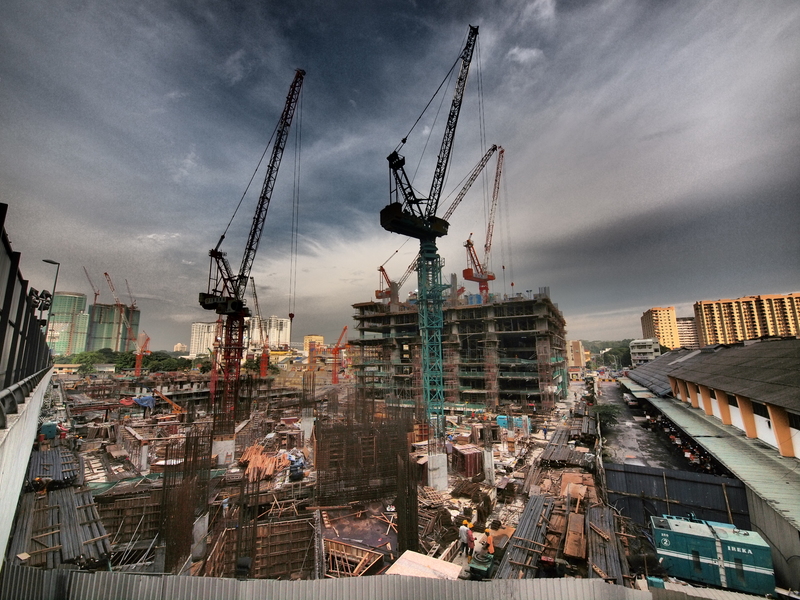 When you make that kind of an investment in a camera brand, you expect the camera manufacturer to make a reciprocal investment in engineering, development, quality, and marketing. Especially marketing. Because, over time, I have this idea I want to add or replace what I have, based on my changing needs. And I'd like to do it with a vital brand and with it's supporting ecosystem. I give points to Olympus engineering and quality, but their marketing is the worst I think I've ever seen. Instead of providing leadership and vision at this year's Photokina, they gave a series of scattershot interviews to a few enthusiast photography sites, then had to issue a few corrections from the Japanese mothership to tamp down the ensuing controversy. When it came to the E-5, I had to learn about its image quality via informal photographs on forums and at other enthusiast sites. The E-5 might be absolutely fabulous, the bees knees, and hold its own, IQ-wise, against the Canon 7D or the Nikon D300s at equivalent ISOs. And maybe we'll learn that when DPReview publishes its official review. But Olympus could have primed the pump with a full-court press of the E-5 including plenty of sample images and reviews ready to go at Photokina 2010. Instead they pissed away a golden opportunity. So what about the future? As far as Olympus' future goes, I have absolutely no idea. If I had that kind of perceptive ability, I'd be super rich and this kind of a blog post would be moot. As it is I've barely enough ability to figure out my own future, much less a world-wide Japanese company's. As for myself, I have to echo Ken Norton's conclusion: I won't be recommending any regular 4/3rds equipment (body and lenses) to anyone who isn't already heavily invested. And I mean heavily invested. And I'm going to hold back my enthusiasm for µ4/3rds. Olympus' handling of regular 4/3rds and their lack of a detailed, cohesive and compelling vision regarding the evolution of regular 4/3rds to µ4/3rds has poisoned the well for all cameras for me. All I can say is, be very careful buying Olympus. I have no idea where I might migrate to, and no desire to sit and slowly stew over all that's happened. I'd much rather go out and use the gear I've got. It still works, and works well. For me, photography is the best therapy. These are quotes from trusted sources meant to provide additional background to my rant. I wanted to document them, and then let the reader follow them and draw their own conclusions. "Twelve megapixels is, I think, enough for covering most applications most customers need," said Akira Watanabe, manager of Olympus Imaging's SLR planning department, in an interview here at the Photo Marketing Association (PMA). 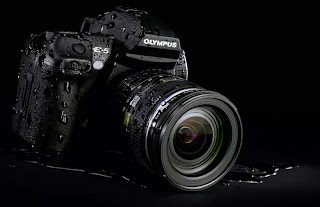 "We have no intention to compete in the megapixel wars for E-System," Olympus' line of SLR cameras, he said. Watanabe, though, believes image sensor-based autofocus will outperform phase-detect systems in the future. That's important not just for compact cameras, but also for SLRs that today often have an awkward problem with composing a shot using the camera's LCD: when the sensor is in use to run the display, the phase-detect autofocus subsystem can't be used. That means live view on SLRs today is typically a frustratingly slow process. "In terms of speed, phase detect is faster. But imager autofocus will exceed phase detect," Watanabe said. And speed isn't of course the only factor. "In terms of accuracy, imager-based autofocus is much more advantageous. It directly focuses on the surface itself," the exact location where the image will eventually be recorded. "Phase detect focuses not on the real surface but on a virtual surface," the focusing subsystem reached via a moving mirror. Imager-based autofocus doesn't require the full use of the image sensor area, so it doesn't directly increase power consumption concerns, he said. In Olympus's new midrange E-30 SLR, for example, autofocus uses only a few points on the sensor when autofocusing in live view mode. In an interview at Photokina, reports quesabesde.com (relayed to us via 4/3 Rumors), Miguel Garcia , Marketing Managing Director of Olympus Europe, has confirmed that Olympus has stopped development of future lenses for reflex 4/3 cameras. Although the E-5 will not be the last 4/3 body, according to Garcia, Olympus will concentrate its future development on Micro 4/3. There will be a professional Micro 4/3 body in 2011, and the lower-end Micro 4/3 camera will be updated as well. He mentioned that in Japan, mirrorless cameras have already captured 40% of the market, and he emphasized that Olympus has a big lead over some of its competitors in the development of these systems. About Micro 4/3 lenses for the future, he said Olympus has lenses in development that will be "spectacular for all levels [of photographers], not just consumers." Olympus will next month launch the Olympus E-5, a DSLR the firm admits may be the last of its traditional Four Thirds cameras as it signals a future without optical viewfinders. The news appears to support controversial comments made by US DSLR manager Richard Pelkowski earlier this year. Pelkowski had speculated that the Four Thirds system will be using a mirrorless viewfinder system within the next 24 months, as the quality of electronic viewfinders had improved so much. Speaking at the PMA trade show in the US, Pelkowski had explained that switching from a traditional mirror SLR system would save space and weight in Four Thirds cameras, and would make the incorporation of HD video functions much easier. However, days later, Toshiyuki Terada, manager of the SLR planning for Olympus Tokyo, refuted Pelkowski's comments, telling AP that the Olympus Four Thirds camera range will continue to use mirror-type viewfinders. Six months later, the Olympus E-5 is born, boasting the 'reliability' of the E-3 with the 'evolution' of a Pen, according to Olympus – but it could be the last E-series Four Thirds camera. I would like to point out Olympus' past history with regards to releasing new cameras in a consistent and timely fashion; they don't. Consider the four year span between the E-1 and E-3, and the three year span between the E-3 and E-5. Or the vaporware 100mm Macro that stayed on the regular 4/3rds lens map for so long; it'll never be produced now. So it's anybody's guess as to what Olympus may introduce in the "professional µ4/3rds" category. We may have to wait as long as PMA 2011 to find out, if ever. PMA 2011 starts in early September. Digital Focus: You have to present a contrast detection autofocus very quickly. You announce that GH2 is even in some circumstances faster than some professional SLRs. 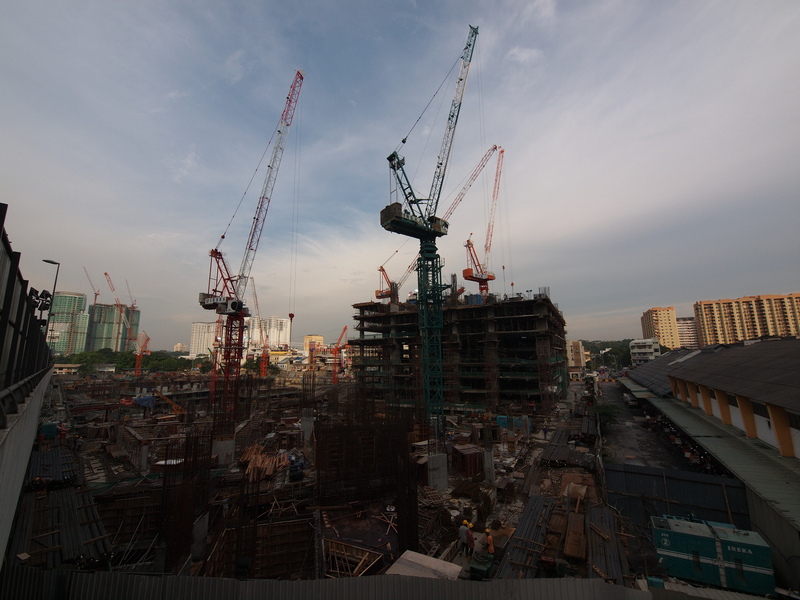 Do you think these developments agree to end the autofocus system by phase correlation [system and Sony Alpha DSLR 55/33, Ed]? Michiharu Uematsu: Yes ... For my part, I still think that 12 MP are quite sufficient for our photographic use. In the case of GH2, it is primarily a marketing decision, not a technical choice. We must follow the market trends that impose even now augment the definition of our sensors. In spite of the mangled translation, some of the points in the interview are clear enough. First is the doubling of autofocus performance in a contrast detect autofocus (CDAF) system. I've read several informal forum postings that the GH2's focus performance matches or exceeds that of the Canon 5D Mk2 and the E-5, which would be astounding if true. What's more interesting is the technical explanation: they have a new processor evaluating 120 frames/sec in order to achieve this. All things considered, I would expect a boost in overall power consumption, with a consequent drop in the number of exposures/battery. What's more intriguing is the comment that Uematsu still considers 12 MP "quite sufficient", echoing Olympus' sentiments as well. I found it refreshingly honest that a representative of Panasonic admitted that the increase to 16MP was "primarily a marketing decision, not a technical choice." Finally, there are some key statements with regards to mechanical shutters vs electronic shutters, and optical viewfinders vs electronic viewfinders. In both instances Uematsu noted they ran out of engineering resources to do a good job on both. With regards to the electronic viewfinders, Uematsu noted that "much work remains to achieve the quality of an optical viewfinder." The problems that Panasonic ran into with the GH2 sensor and EVF probably played a critical part in Olympus' decision to remain conservative with the final design of the E-5. Bottom line is that it appears that Olympus and Panasonic, at an engineering level, are in mutual agreement. Furthermore, pushing the envelope takes time and resources, where for practical reasons you have to choose which important problems you work on first. Finally, all these advances will take time and will cost when they are released. That means first adopters will pay a premium (as they always do), but reap the rewards earlier than more conservative users. Video interview with Toshiyuki Terada, SLR Product Planning Manager, Photokina 2010. A second video interview with Toshiyuki Terada, SLR Product Planning Manager, Photokina 2010. Another separate note for existing PEN users, now the E-5 can apply the Art-Filters directly with any other camera shooting modes, such as Programme Exposure, Aperture Priority and Shutter Priority. The processing speed for ALL the filters have been improved dramatically, and there was almost no lag at all shooting with Art-Filters. This is one improvement making the photographers’ life much easier, and enjoyable I must say. The "Zuiko and E-5: Day 1" review, while less effusive, provides a series of test shots, two of which show the capability of the Dramatic art filter. Standard image without Dramatic art filter. Same image with Dramatic art filter applied. Personally, I'm beginning to like what I see and hear about the camera. Some people still complain about the high initial price and the apparent abandonment of the regular 4/3rds line. I have only one comment to counter that; Leica. I may very well wind up with an E-5 body. Or something very close to it. More to come, I'm sure. Freakin' disapointing isn't it? I've been sitting on an E620 waiting for the right moment to buy into an E3/E5, and now that the E5 has come out I feel like ditching Olympus altogether. I'm buying that shiny looking Fuji X100 when it comes out and probably just leaving it at that for a long while. I have invested in some nice Olympus lenses, albeit budget ones, however, am very happy with the image quality. They (Olympus) should at least be able to continue their DSLR line-up, such as the E-5, E-30 (E-50 with HD Video), E-620 (E-630 with HD Video), and budget version, without much effort? I mean they've already got the technology there, and simply adding HD video would make them competitive with all the other manufacturers. Couldn't agree more, Bill. While I love my current Olympus gear, and am interested in the E-5, it is the lack of direction and vision of Olympus HQ that is most worrying to me now. I pray I don't have to hop systems in the future. @Joshua, Olympus stated specifically that they are dropping every regular DSLR except the E-5, and not developing any other DSLR replacements. I'm wondering why Olympus is bringing out the E-5 at all. The cessation of 4/3 has been coming for a while, with the last major round of lens introductions happening in 2007 with the E-3. If they had just postponed the next camera announcement, then say that they're still working on it, and then slip the date a little more - do a Sigma impersonation, essentially - they could have eked out another year or two of business as usual. So why announce a brand new 'pro' camera and orphan it at the same time? There's a lot of interesting technology out there that makes the future of non-SLRs very promising. From image sensors with embedded phase-detect autofocus sensors to pellicle mirrors that feed an AF system, there's no reason to think that EVF cameras will always be limited to the contrast-detect system that plays so poorly with conventional lens motors. So far none of these technologies belong to Olympus, but most other companies eventually figured out how to keep their sensors clean, so perhaps there's still hope. I think Olympus was forced to release an E-5, and I think they were forced to release it with the sensor they had, the sensor in the E-PL1. They tweaked the overall performance with a point release of the processor and associated firmware. I can't offer any facts to back up what I'm about to say, only the odd story off the various rumor sites, but the drive to go mirrorless and replace the DSLRs is not going as well as Olympus had hoped (or been told by their engineering team). I believe that Olympus does have a mirrorless pro replacement for the E-3 on the drawing boards, but for whatever reason they couldn't release it now because of a lack of performance in key areas. So they scrambled and went to plan 'B', which produced the E-5. That's why it took three years to produce an E-3 replacement with what appears to be "trickle up" technology from the E-PL1, and why it looks so much like the E-3. It's going to be interesting to see what Olympus releases in 2011. The new mirrorless "hero" camera may well turn out to be the modular camera that stirred so many rumors in the early part of this year; modular in the sense that you can either use µ4/3rds lenses directly on the body, or add a special adapter (the "module") that provides full autofocus performance for regular 4/3rds lenses in the High Grade and Super High Grade lens lines. What system I'll be using at that time is anybody's guess. I have a constrained budget, so making any kind of fundamental change to anything else (even from 4/3rds to full-sale µ4/3rds) is going to be financially challenging. Only time will tell. Not all is bad IMHO Bill. I'm on a limited budget as well, and so I bought the double zoom E-520 kit last November, and added an OM Zuiko 1.8/50mm soon after for portraiture and low DoF. On photokina, I was primarily interested in two things with Olympus: first, I wanted to try the EVF of the E-PL1 (or E-P2, for which it was developed originally), second, the ZD 50mm macro. Both knocked me off my feet. That VF-1 viewfinder is awesome, even with wearing my glasses I could see the whole frame plus all the information I'd ever need. My wife wants an E-PL1 anyway, now I'm seriously considering one for myself, maybe together with the Panny 1.7/20mm prime for those available light pub shots. The Oly macro doesn't need any comments anymore, it's known as one of the finest glass of any maker. A must have for me. My E-520 has counted some 6,500 pictures taken until now, so I hope it will still last a few more years. My main goal is to improve myself - all these nice and shiny cameras are tools as far as I can tell; none of them will turn you or me into a good photographer over night. And should I ever need to replace it, then the E-5 or any newer model we have by then will be surely more than good enough for me. Maybe until then we'll have Oly versions of the G2 or GH2, with built-in IS and the famous Oly colours, we'll see. I'm trusting Olympus and their promise that we'll have bodies for all that fine HG and SHG glass, and I cannot wait to get my pranks onto that macro lens of theirs. Oh, and video? Yeah, I'll guess we'll play around with it, my wife and me. But I'm not a film maker, thanks. Bill... the E5 may not live up to the wild expectations of many dreamers, and it certainly isn't on the cutting edge of anything. And this might be why there is so much disappointment. This camera is a first rate implementation of yesterday's technology. Without a doubt the finest 4/3 body made to date, or will probably ever be made. Because the system seems to have reached a dead end. Unless of course, someone creates a Rube Goldberg hybrid of sorts. I think the E5 is a wonderful camera, and since I already own six 4/3 lenses, I might end up owning one. But I am almost 62. So I'm not looking forward 30 years. Olympus has truly blundered here by abandoning the entry level value market, and even mid tier market. And I fear that they might be heading down the same path with M4/3, since they seem content to let Panasonic take the lead. All I have is my trust to Olympus now. I really do hope that they bring something with better grip than PEN. I own e-520 as my backup and e-620 as my main tool + 4 lenses. This situation is hard for me, because I start to photography a year ago with e-520 and now this news came up. I just need to hope that e-520 and e-620 will last with me until I can move to micro four thirds. I don't mind to migrate with adapter to micro four thirds, because I also use nowdays some old OM-lenses with adapter on E-system but I hate say that PEN doesn't fit into my hand. E-5 is my next one if there is anything else than PEN in future from Olympus. I'm in deep love with my e-620. It will be sad day for me when it dies. I also use lot of flash with my camera since I'm doing photography in dark scandinavian country. Anyway one huge problem is flash and electronic viewfinder with PEN. 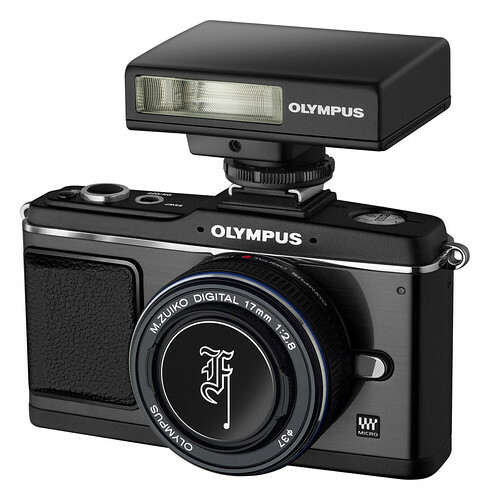 It's not really smart idea from olympus to sacrifice flash by cost of electronic viewfinder. There is so many issues with PEN that I could also seriously think to migrate from four thirds with new Panasonic GH2 micro four thirds system. Only think that makes me think about it with Panasonic is IQ compared to Olympus and loss of IS. Hi, been reading your reviews for a while now but i was wondering if you had the chance to follow up on the E5? Agreed that the initial announcement (spec and delivery) wasnt up to competitors and expectations, but its been a few weeks now that the camera has been selling and it seems that people are extremely happy with it. Id be highly interested if you had more info to share on this. I cannot say that I am a Olympus owner, but my first camera was a Olympus OM10 many many years ago and I have always had a fondness and taken an interest in Olympus even though I use Nikon now days. I was shocked by the announcement Olympus made when they introduced the E5. If I was a Olympus Dslr owner I would feel annoyed and betrayed by the company. I am also Sorry to say that I don't think the E5 stacks up that well against other cameras. It has better specs than the Nikon D300s but that is an old camera, probably being replaced next year and the Nikon D7000 has better specs at a cheaper price. The Canon 60D and 7D both have better specs and do video to a much higher standard and I am sure the Sony A700 replacement next spring will be a much better camera. It feels like Olympus have just releised the camera as a after thought. I can't say if micro 4/3s I the future, but for me personally I am not convinced that the Pro market will want to touch it. As I say I do have a fondness for Olympus DSlRs and have recommended a few people to look at them with the E600and E620 but I definitely wouldn't now (the people I advised ended up getting Canons 500D). I do hope they get on track again soon cause a competitive market where all the major companies are pushed means a good market for the consumer.